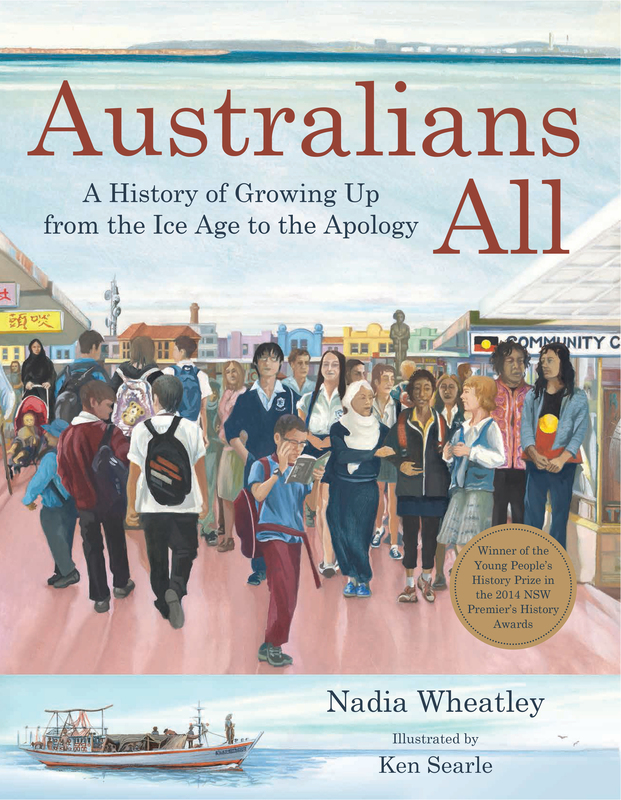 Winner of the Young People's History Prize in the 2014 NSW Premier's History Awards, this is a lavish and comprehensive history of Australia told through the eyes of young people. Australians All encompasses the history of our continent from the Ice Age to the Apology, from the arrival of the First Fleet to the Mabo Judgement. Brief accounts of the lives of real young Australians open up this chronological narrative. Some of the subjects of the eighty mini-biographies have become nationally or even internationally famous. Others were legends in their own families and communities. Meticulously researched, beautifully written and highly readable, Australians All helps us understand who we are, and how we belong to the land we all share. It also shows us who we might be. In 1988 Australia marked the bicentennial of European settlement and one of the stand-out, enduring legacies of that time was the magnificent My Place by Nadia Wheatley and Donna Rawlins in which the history of our nation over those 200 years was viewed through the lens of the children who lived in each decade in a particular house in Sydney. It is a seminal piece of work that is used to this day in the study of Australian history by young students, having been complemented with a television series, websites and a host of units of work. Its key point of difference from a lot of other texts at the time which also explored our history was that by looking at the past through the eyes of the children who were the age of its target audience, Wheatley made history accessible and meaningful for the age group. They could relate to what happened by comparing it with their own lives. In Australians All Wheatley has taken a similar approach. Beginning in the Ice Age when the Law held the balance in the land and through the forming of the rocks and soil, through the making of mountains and the rivers, it held, through to the Apology to the Stolen Generation in 2008, Wheatley has stayed true to her belief that “story is everything”. This is not some dry tome with facts and figures and grainy pictures – through the telling of the stories of the time, amplified by the inclusion of 80 mini-biographies of real people who were there, it brings the events and their impact on the people alive. They are the stories of the children and the youth whose tales are rarely told – the “passive accessories” to the actions and decisions of the adults around them – and they are the stories of the children who became adults and changed the nation’s philosophies and direction because of the impact on them of those actions and decisions. For example, with many of our students in single parent or blended families, the stories of the fate of Amy Currie after the death of her mother and the younger Facey children whose father had left for the Kalgoorlie goldfields in a desperate attempt to support his family make what was happening real and will give pause for thought about why we have the support systems we do today. 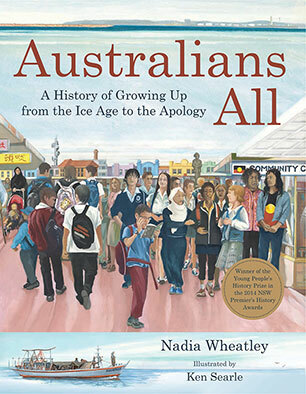 Released and reviewed in perfect timing for the new school year, Australians All puts the story in history bringing to life what we should know about this nation’s past (even if it is confronting) so we can march into the future with understanding, confidence and hope.